Built subsequently as a replacement of Mark III, the Mark IV armor is one of fan's favorite classic Iron Man suits throughout the years since its introduction in Marvel Studios' film Iron Man 2. 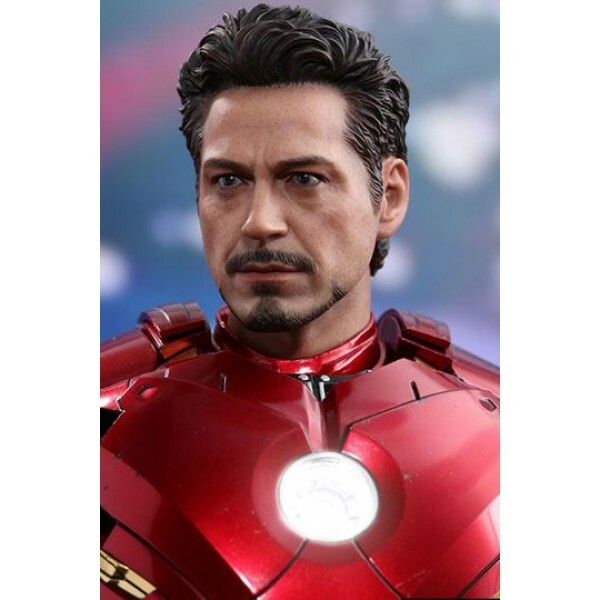 Sideshow and Hot Toys are thrilled to expand the MMS Diecast Series by presenting the new sixth scale Mark IV collectible figure! 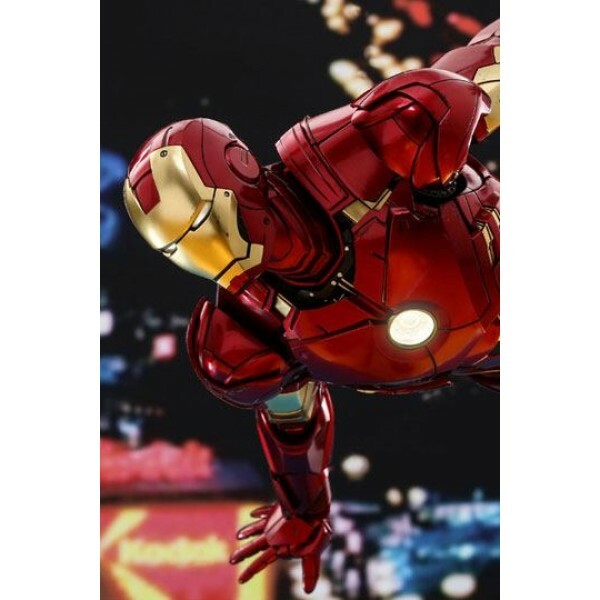 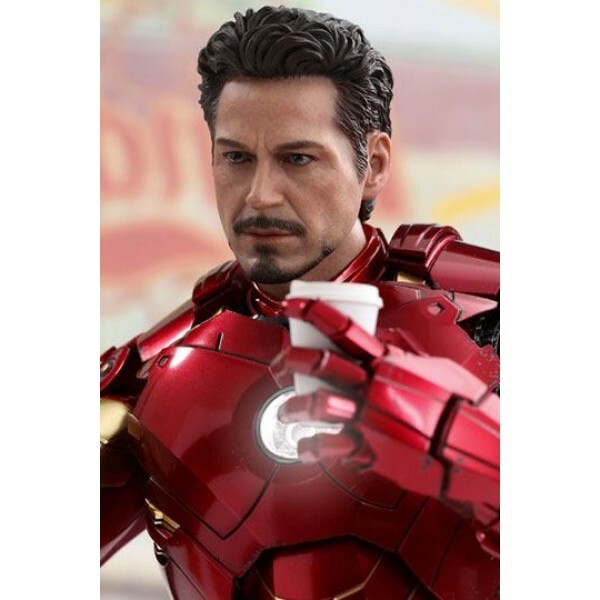 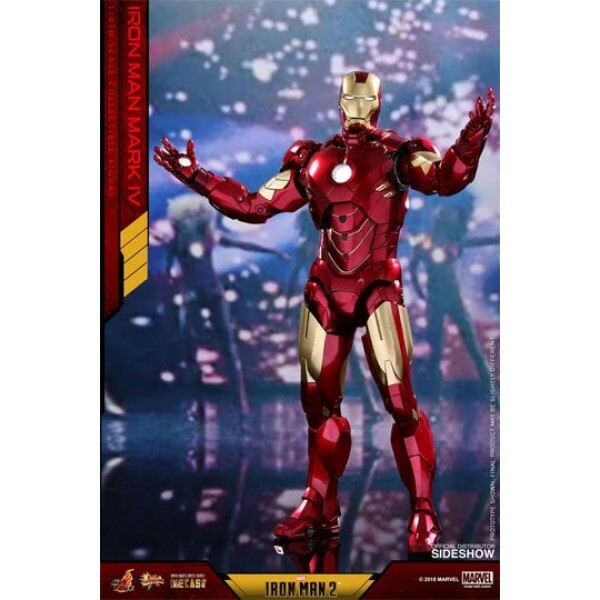 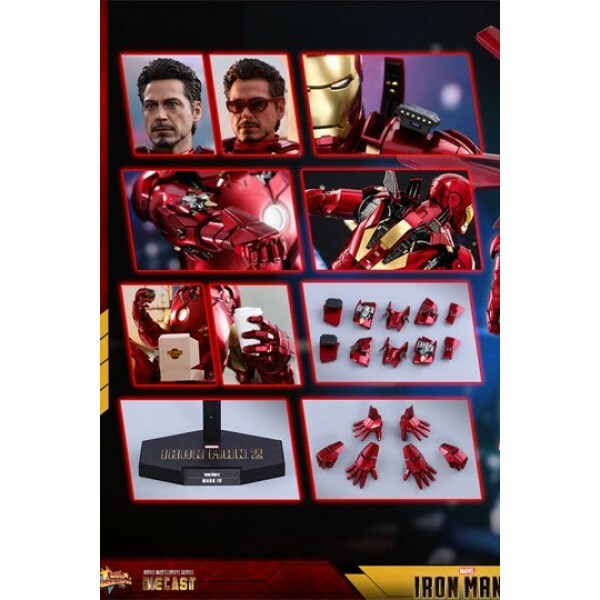 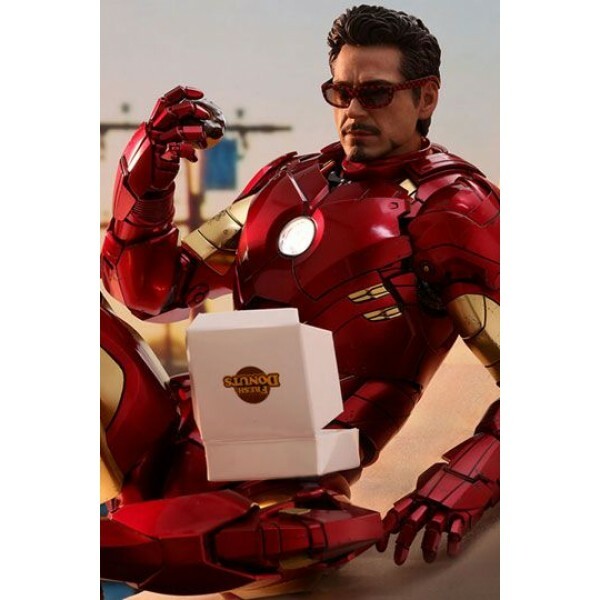 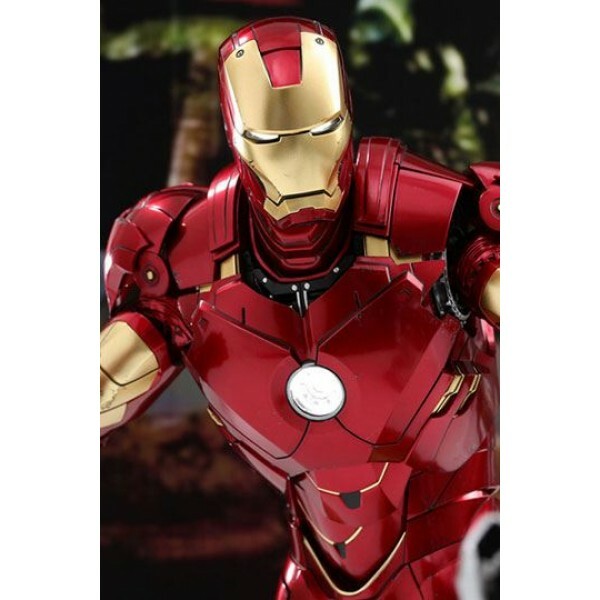 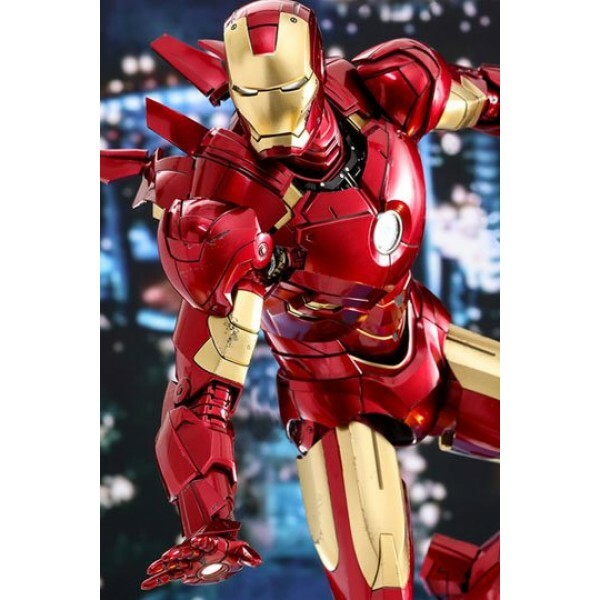 Made with diecast material, the sixth scale Iron Man Mark IV collectible figure is meticulously crafted in reference to the appearance of the armor suit in Iron Man 2. 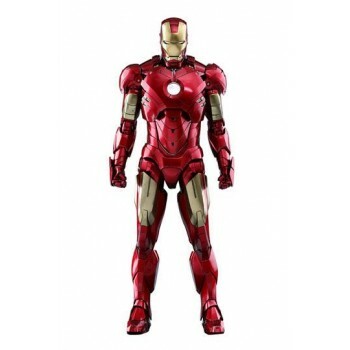 The over 32 cm tall diecast figure features a newly painted head sculpt of Robert Downey Jr. as Tony Stark, interchangeable LED light-up helmet, movie-accurate proportion and highly detailed armor design with fully enhanced articulations, metallic red and gold painting on armor, interchangeable shoulder and forearm weapon-firing armor parts, LED light-up functions on eyes, palms, and arc reactor, a figure stand, along with the sunglasses, donut, and coffee cup from a very memorable scene in the film!